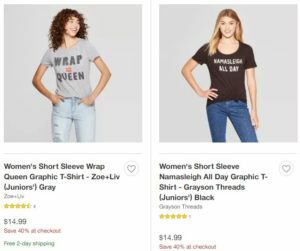 Target is offering 40% off Ugly Holiday Sweaters & Tees for Men & Women both in-store and online. The discount is automatically applied during checkout. 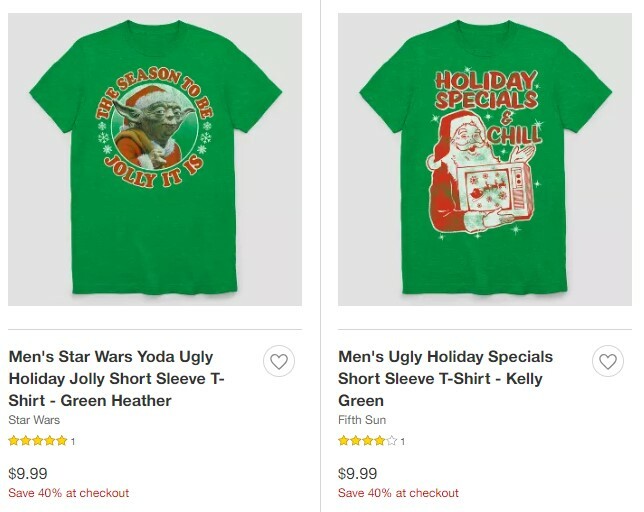 If you plan to shop in-store, use this 40% off Ugly Holiday Sweaters & Tees Cartwheel offer.